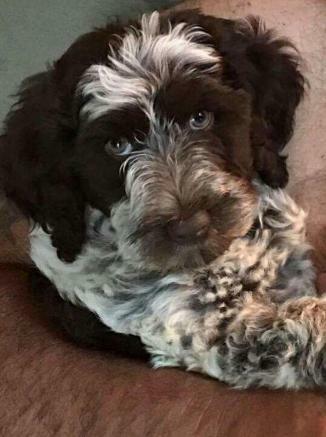 South Creek Puppies is the Home of The Porti-Doodle Puppy where Happy , Healthy Porti-Doodle ., starting 7 years ago the hybrid arrived and we feel in love.This is our 7th year raising these wonderful puppies. 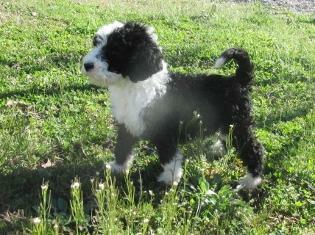 Our pups has personality , a fantastic stable temperament , lots of stamina and playing drive . 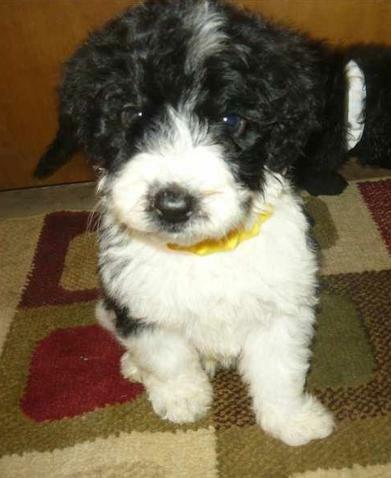 Porti-Doodle Puppies are quick learners with excellent attention span , focus , and great desire to please. They are hypoallergenic and non shedding . Their love for the water is intense and they are a strong natural swimmer . .. All our pups come with the first sets of shots, d wormed, registration, veterinarian check and certificate, shipping crate, micro-chip and pre spoiled. They will also know how to use a doggie door., and have started on basic commands. They will be ready to go to new homes worry free..
You can contact us directly with our contact form or call any time..we strive to breed healthy and happy puppies that are socialized and have stable personalities. 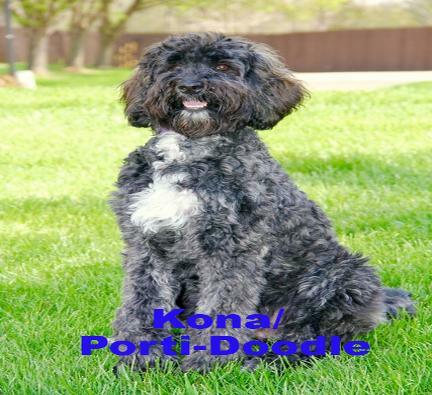 Porti-Doodles have a whimsical, intelligent personality and a perfect addition to a family that is active. 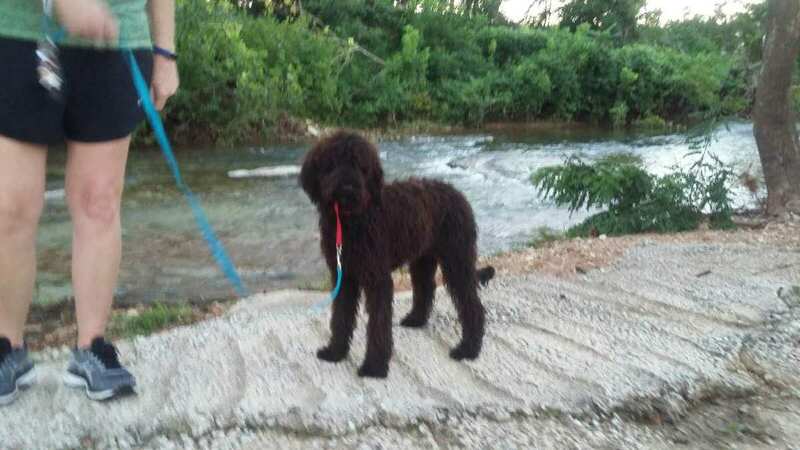 Portuguese water dog Doodle makes an excellent companions for everyone. They can be very easily trained to carry out complex commands due to their intelligence and agility. Although they are independent in nature, they prefer to stay by their master’s side. They are hypoallergenic and make them a great source for individuals with allergies such as children...They love the water making them ideal for summer fun at the lake or on a boat and area excellent as a jogging/running companion because of their energy level. (Maggie) is loved,swims every day now, you can't keep her out of the water, she loves it. She fetches she's in great health and just so you know she's in very very good hands and is going to have a wonderful life. thank you for everything that you did. You are an excellent breeder and caretaker and I wish you all the best for you and your family and the animals in your life now and in the future.